LOOK IN THERE STUPID! WHAT DO YOU SEE? NOTHING RIGHT? 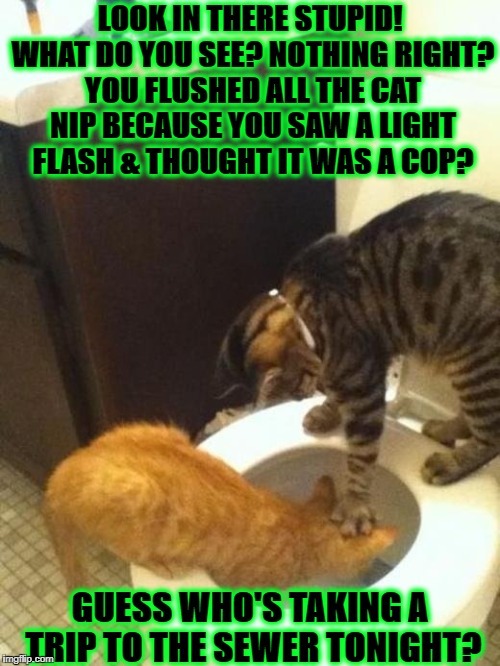 YOU FLUSHED ALL THE CAT NIP BECAUSE YOU SAW A LIGHT FLASH & THOUGHT IT WAS A COP? GUESS WHO'S TAKING A TRIP TO THE SEWER TONIGHT?